MCX Gold Silver fell on Thursday, because Slowdown in the international market and domestic market from Rs trick against the dollar both precious metals seeing pressurized in open session. 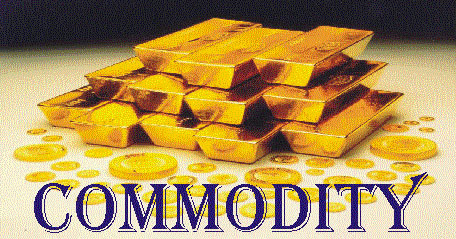 MCX Gold on June delivery fall 0.3% at Rs 26,600 and Silver have fall 0.2 % with Rs 43621. What can do in precious metals now? You should alert now & immediate go on buying side. @ Buy MCX Gold above 26650 for 5 June delivery targets 26700, 26750 Stop Loss 26550. @ Buy Silver near to levels of 43,700 with in July contract targets 43800, 43900 Stay levels 43500. MCX crude oil slipped 0.11 per cent has come down to Rs 5240, while MCX Natural gas trading 0.50 Rs above due to previous close. Currently it is trading rate 234.90. @ Sell Crude near to 5240 in June delivery targets 5225, 5210 Stop Loss 5270. Metals:- MCX getting on base metals declined strongly. MCX Copper has fall more than half percent to Rs 409 has become weaker. Aluminum 0.7 per cent, 0.4 per cent lead, nickel and zinc is 0.9 percent today. @ you Can Sell MCX Copper June below 409 Targets 408, 407 Stop Loss 411. Today 30th May Commodity Intraday Calls, levels and Mcx Natural gas prices, and also provides trading tips, mcx tips, ncdex tips, Commodity market updates, free commodity calls ,Stock tips ,nifty tips, bse nse updates Commodities tips,we have 10 days free trial offer also. I think Your blog is best among Indian commodity blogs and sites. Your content is amazing and Tips Provided by your blog are best thanks for sharing content.